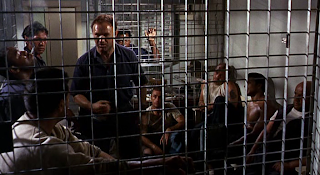 Every prison throughout the world, whether state or Federal is an enclosed pressure cooker capped by an ever tightening lid of anger, hate and frustration. 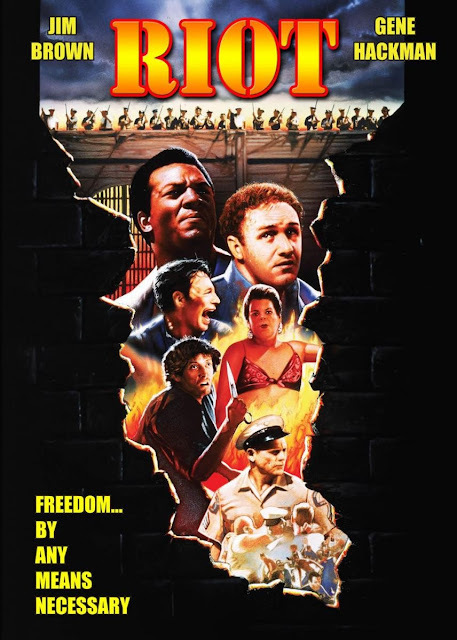 Within the walls are a collection of unruly, unpredictable, undisciplined gathering of misfits, murderers and anti-social types. 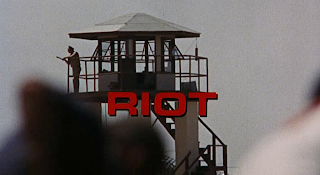 For the most part they are watched and guarded so they do not escape their confinement which is the location for the film called " Riot. " 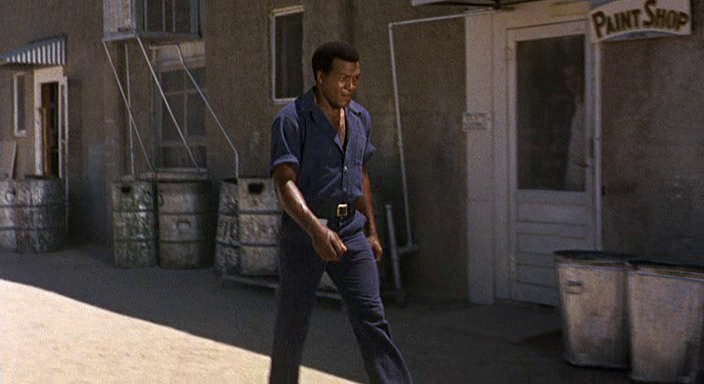 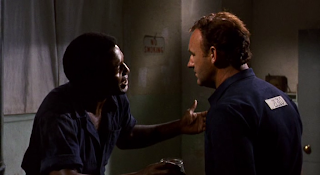 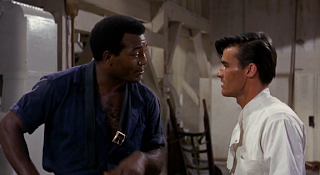 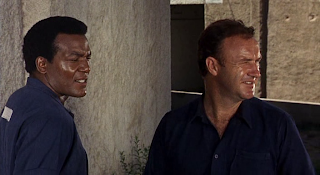 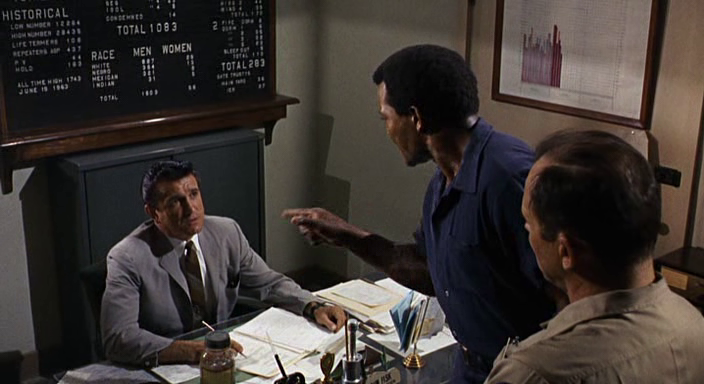 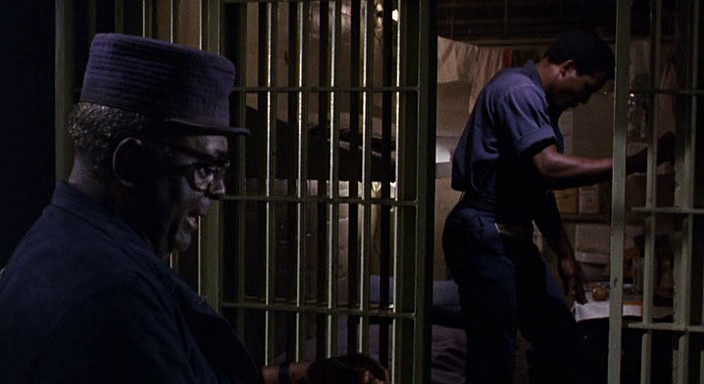 Jim Brown stars as Cully Briston with Gene Hackman as Red Fraker. 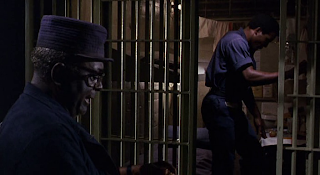 Although, Cully is to be released in a couple of months, 'Red' and his fellow inmates stage a small takeover in the infirmary which spills over to the detention ward. 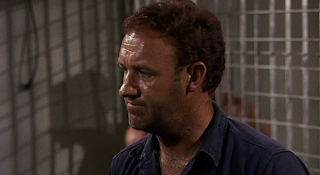 Having little to do with the initial incident, Cully nevertheless becomes part of the escalating situation when he helps his friends. 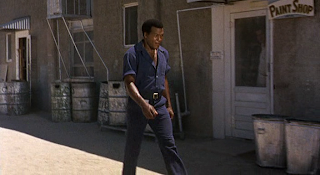 Gerald O'Loughlin, plays one of the more contentious prison guards who has been throwing his weight around for years in the prison, suddenly feigns sickly and fragile in the face of death. Meanwhile, the Warden who has been vacationing, returns and orders the prisoners to cease and desist. 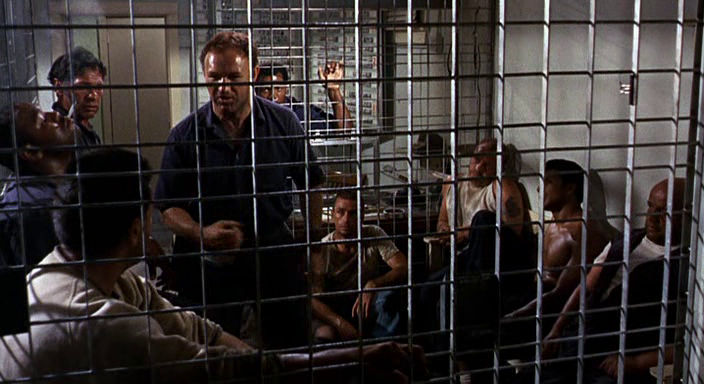 As he prepares to send in his Riot-Squads, the prisoners plan on escaping with an Indian guide called Surefoot. (Ben Carruthers) The seconds tick away and the situation becomes hopelessly unmanageable. 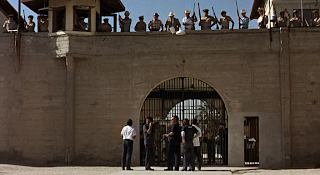 The Warden, the Guards and the prisoners all await the next turn of events. 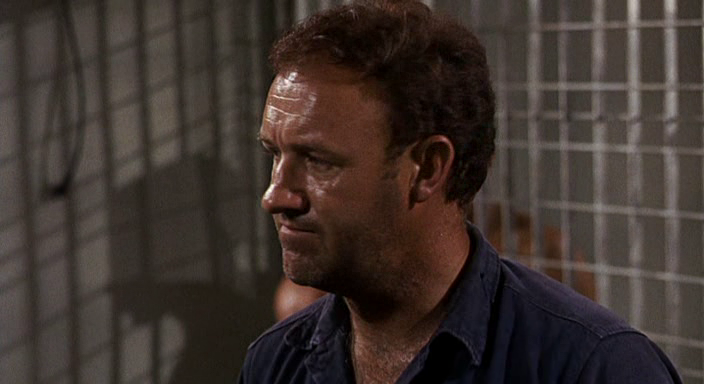 Strong character drama from Brown, Hackman and Mike Kellin give this feature a realistic aura and one sure to make high drama for the audience. 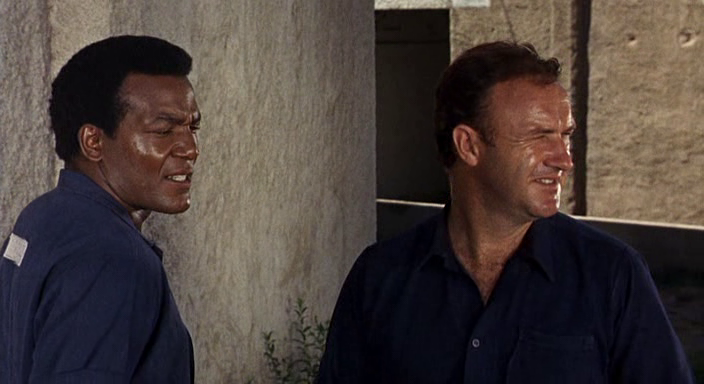 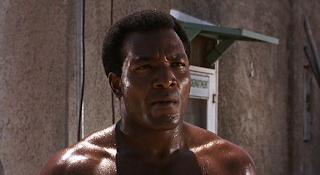 Good Film and one of the best performances for Jim Brown.